Sample : Free samples will be supplied for your better reference. 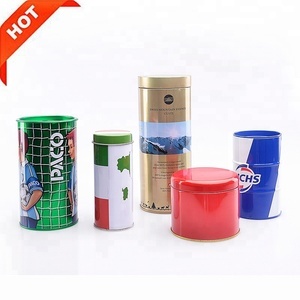 (if need to print your logo on the empty metal tin can, we will collect some charges for each design or printing, these money will be returned to the orders) Production lead time: 12-15days , urgent orders can be negotiated. Printing: 4 colors (CMYK) printing outside, inner lacquered is accepted. Dongguan City Jinyuanbao Packing Industrial Co., Ltd.
pink,printing the outer color or oxidized outside and inside color. 4. Suitable for pill,gift packaging, 5.Samples are accepted ,you just need pay for the carrier fee. 6.Color and logo printing are available according to your request. Q: What do they use tin for? A: Tin has numerous usages . - Electro-plating is an significant of applying the tin . It is feasible to done using the electroplating of a bit coat of tin around objets of steel , copper , aluminum etc . -The tinned slices have countless apps such as in kitchen utensils , spraying receivers and shaving foam , ink cans , electronic components , mainstreamed circuits , clips , pins as well as numerous another . 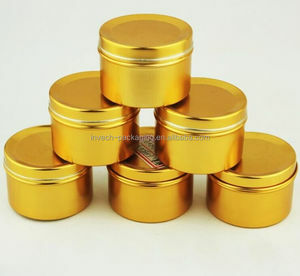 -- -- -   -Tinned objets is also possible used with decorative purposes . - As a pure metal , . It can still to utilise in storage tanks for pharmaceuticals chemical solutions , in capacitors electrodes , fuse-wires and munitionss , tinned iron sheets protecting victuals , sweets or tobacco etc . -Some of the tin organic compounds have various application as fungicides and insecticides for the agricultural and still as wood , textile and paper preservers . -Alloys of tin 's also significant , such as soft solder , pewter , bronze and phosphor bronze . -The its most important tin salt used is tin ( II ) chloride which utilized , as a reduce agent and as a mordant . Tin salts sprayed onto glass 's use to produce electrically conductive coatings . Most window glass is made by floating melted glass on molten tin to produce a flat surface . Recently , a tin-niobium alloy that is superconductive at very low temperatures has attracted interest . The most significant tin compound is the tin dioxide ( SnO2 ) , utilized in electrical resistors and dielectrics , and the tin monoxide that it utilized , in the manufacture of tin salts for electroplating and as chemicals reactants . The tin compounds that contain lead , barium , calcium and copper is crucial in the manufacture of electricalal capacitors . The tin fluoride utilized , as addictive in toothpastes . Q: How is tin made and what is it out of? A: Soda cans are n't made of Tin thinks it or not , since Tin is toxic.Soda cans are made mostly from Aluminum extracted from Bauxite deposited . The Tin man is made from Tin . You know The Tin man from the Wizard of OZ ? Follow the Yellow Brik road ... But , soldering wire for electronics can have Tin additional to it . It was in fact Tin and Lead alloy . The symbol for Tin is ; Sn on the Periodic Table of Elements . Copper and Tin make the alloy Bronze . Q: 4 uses for the element tin? A: There 's two important usages for it . It utilized , to coat food cans , to maintaining themetres away from rusting . 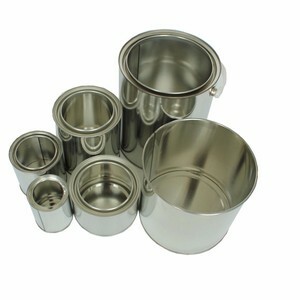 Tin has low toxicity , so you are able securely store food in tin-plated steel cans . It 's also employed to make solder , which utilized , being incorporated into electric elements intoto circuits .